These hand made sea glass earrings were made with genuine, hand picked seaglass found upon a beach along the majestic Pacific Ocean shoreline. They will come on a gift card that tells the short story of sea glass and gives the name of the ocean the pieces were beachcombed from. Measurements: The sea glass pieces each measure about 1\/2" long and they dangle about 3\/4" from the end of the sterling silver leverbacks. 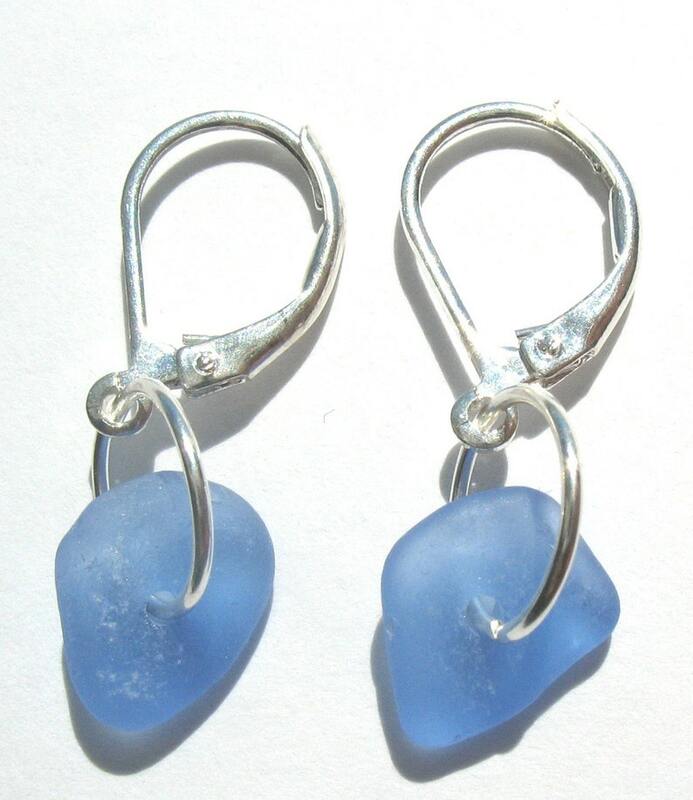 West Coast Sea Glass is a world leader in authentic sea glass jewelry. We take great pride in beach combing most of our sea glass ourselves and have a vast collection in a wide array of rare colors. Our prices vary according to how rare it is to find the particular color. We are members of the North American Sea Glass Association. Love the earrings!!! ❤️. Thank you!